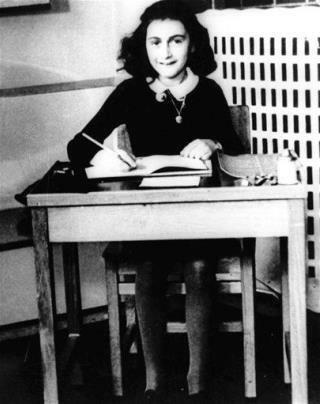 (Newser) – The copyright on The Diary of Anne Frank—set to expire Jan. 1 in most of Europe—has been extended by at least 35 years after the Swiss foundation that holds the copyright claimed Anne's diary actually had a co-author: her father, the New York Times reports. Otto Frank has long been acknowledged as an editor and compiler. As the Globe and Mail explains, there are A, B, and C versions of the diary: A was the original begun by Anne; B was the rewrite she started in the spring of 1944 after hearing a radio plea from the exiled education minister that the Dutch collect and safeguard their letters and diaries; C is the version Frank created from A and B, and what the debut 1947 edition was based on. In most of Europe, copyrights expire 70 years after the author's death. Anne died in 1945, but Otto lived until 1980, meaning the copyright now reaches into 2050, preserving the requirement that anyone in Europe wanting to publish the book ask the Anne Frank Fonds for permission and pay it royalties. This is one smart girl, she wrote her memoirs with a ball point pen even before it was invented. Yeah ok... and then in 2050... "Oh wait! It was young Cousin Lemme B. Frank who was writing and editing Anne's Diary!" and again The Frank Family will keep collecting the dough for another 20 years.